There comes new challenges to Chan Ho Nam in this sequel. Seto Ho Nam of Tong Sing Gang wants a lion's share of Hung Hing Gang's profits in Causeway Bay. 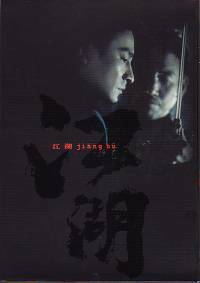 Officer Lee, the newly appointed senior police supervisor from Wan Chai, wants to put the troublesome gang and its leader Chan under his tight grip. A Chinese-Malaysian govenor set Chan up, leading to the investigation by Commercial Crime Bureau. What will Chan do?